Next on the Freshly Handmade Christmas gift list are the holiday place mats for my mother-in-law. Always the entertainer, she requested the place mats be oval since they allow for more room on smaller tables. I racked my brain for a couple days to come up with the design and to figure out how I wanted to construct them. There were several ways to go about it, but I knew I wanted to quilt them to add stitch detail. I opted not to use binding or bias tape around the edge due to the oval shape. 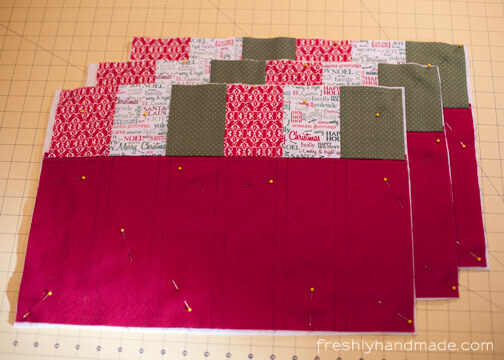 I started with a rectangular shape and pieced the fabric together. 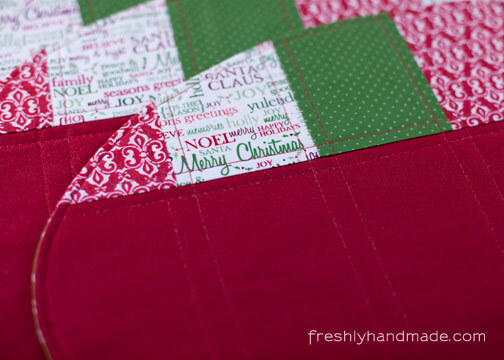 I used three different cotton holiday prints on the top and paired it with a red cotton linen on the bottom. 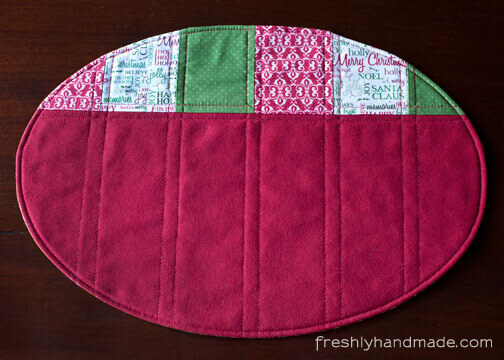 I quilted the top to cotton batting, then traced and cut out the oval shape with a template I created. The finished product ends up being 17.5" W x 12" H.
Using the same template, I cut the backing fabric into the oval shape. With right sides of the top and backing fabric together, I sewed around the perimeter leaving an opening to turn it right side out. I stitched again along the perimeter to secure the opening and to give it a finished look. Below is a picture of the backing fabric. I'm not going to lie, this method took quite a bit of time. 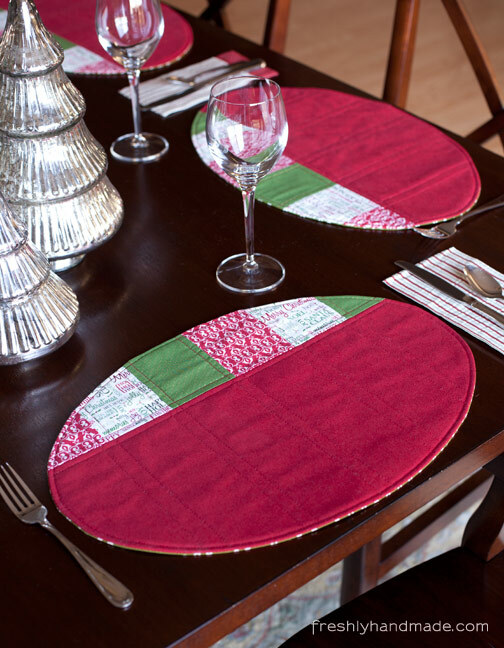 Oval shaped place mats in general are going to take longer than rectangular ones, however, if you have a circle or smaller table, this may be your only option so that the mats don't overlap. A dozen place mats are being shipped to my mother-in-law early so that she can use them for entertaining this holiday season. Maybe after the holidays I'll get a chance to create a tutorial including the oval template I used.